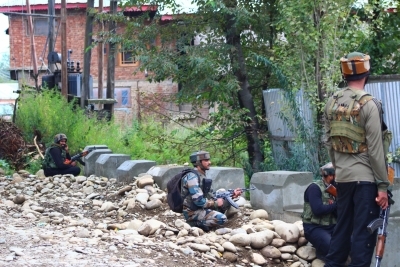 Srinagar Sep 15 (IANS) Five militants were killed on Saturday in a gunfight with the security forces in Jammu and Kashmir s Kulgam district police said. According to the police there were no casualties on the security forces side. Meanwhile clashes broke out between civilian protesters and the security forces at the gunfight site the police said.